Diving into a good book is always a great pleasure, not only for a bookworm. Although many readers still prefer paper books, how we read has changed significantly over the past years. The fact is, books don’t always come on paper anymore and many people are falling in love with the digital form of books. These days, books are often read on ebook readers, tablets or smartphones that allow you to churn through stored titles as you want, and most important, whenever you want. 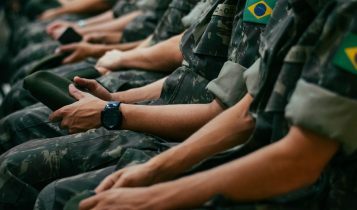 The ebook readers, devices specially designed for electronic books, are light and handy, and thanks to the use of E Ink technology, much more better for your eyes than tablets or smartphones. Since Amazon released its first Kindle in 2007 and started the reading revolution, e-readers have come a very long way. They are durable, lighter, and come with a battery that can last for weeks. 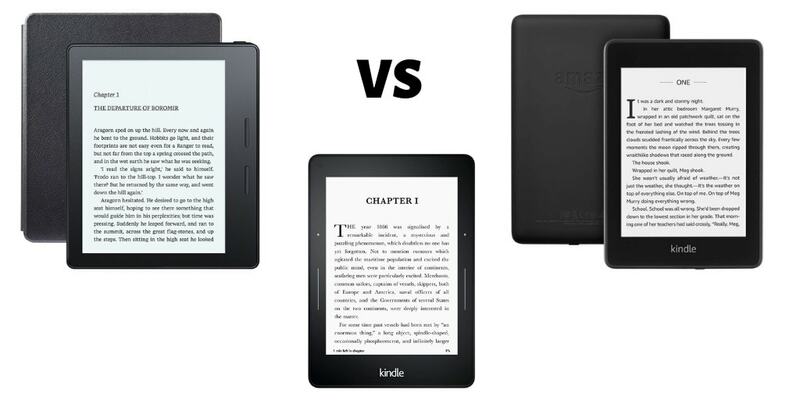 Check out our comparisons between the most popular Amazon´s ebook readers – Kindle Oasis vs Paperwhite vs Voyage – with detailed information, and why you should buy them. 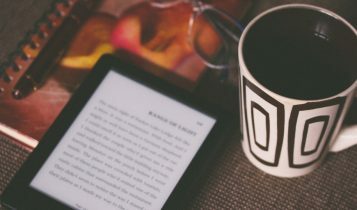 Here are the best ebook readers in 2019. The Kindle Oasis is Amazon’s luxury Kindle. Yes, it is an expensive product, but it offers probably the best e-reader experience you can get right now. The screen is larger, it has auto-adjusting backlighting, and you can take it to the pool. If you have enough cash, the Oasis is a perfect choice. 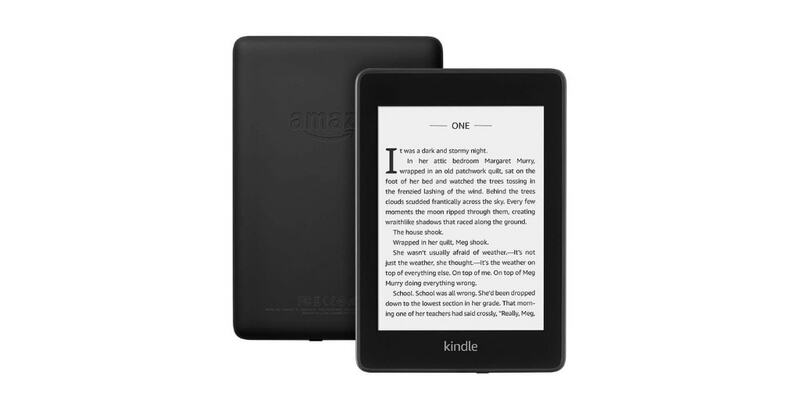 A huge improvement from Amazon´s standard Kindle. It comes with the new E Ink technology named Carta which increases the contrast and smoother page turns. In fact, Paperwhite is slightly bigger, heavier, and twice as sharp as the standard Kindle. Although the Amazon Kindle is still good e-reader, the Paperwhite is a great one. The Voyage is without a doubt one of the best e-readers on the market. It’s a nice improvement to the company’s previous best, the Kindle Paperwhite. Better screen, automatic light, page-turn controls. Just a few features you will definitely love while reading. The Kindle Paperwhite and Voyage both come with a 6-inch touchscreen display that is using an E Ink Carta technology for better contrast. Compared to that, the luxury Kindle Oasis is using the same technology only with a 7-inch touchscreen display. What is the most important thing on an ebook reader display? Size? No, the resolution. Comparing the display resolution on these 3 ebook readers is pretty easy. They all offer a 300ppi, which is twice as better than on cheapest Amazon Kindle. 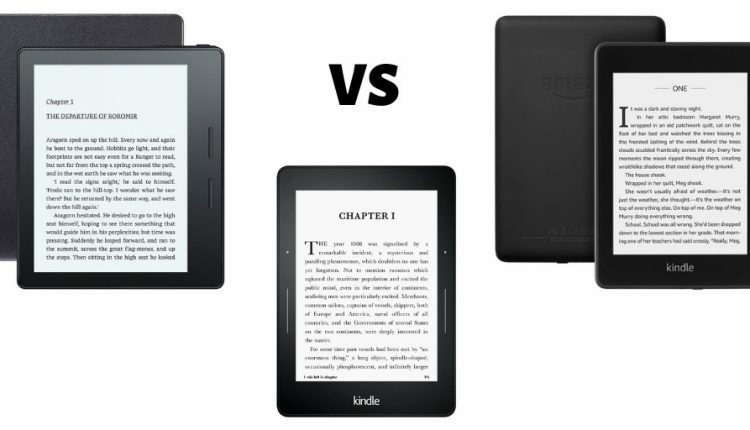 Perhaps the biggest differences between these three Kindles is how you turn pages while using the e-reader. For many users, this is an important feature to consider. 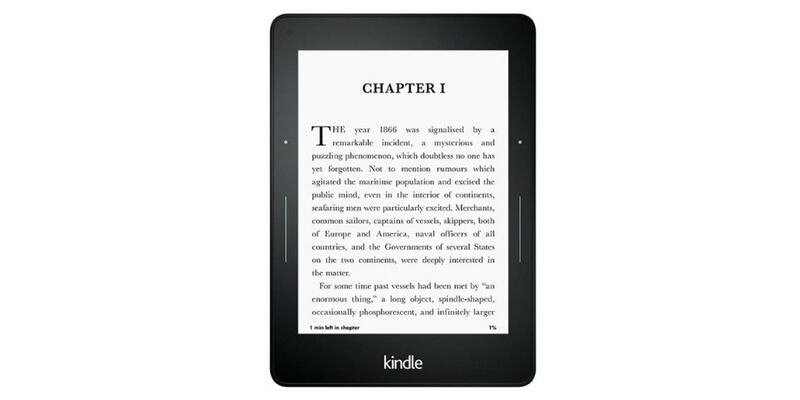 Let´s start with Kindle Paperwhite. This model uses the touchscreen display for a swipe to turn pages. That means you have to move your hand to swipe or tap the display. Annoying for someone? Yes, but this is a standard method to turn pages which is also available on the other models. Besides the classic swipe/tap feature, the Kindle Voyage comes with a function called PagePress, a set of sensors on the sides. 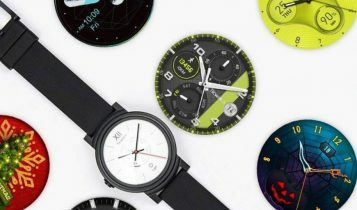 These sensors in the bezel allow the user to turn a page by pressing little harder the device and gives a slight vibration to provide a response to you. So, what has the luxury Oasis to offer? On the right-hand side of the device, you have buttons for physical page turn or you can use the standard swipe/tap touchscreen feature. Another worthy mention feature of Paperwhite and Oasis is the Audible support. This official Amazon´s audiobook format gives you the option to listen to the audiobook simple by connecting the device to Bluetooth-enabled speakers or headphones. If you are looking for a Kindle with the longest battery life than the Oasis is the best of these three models. It offers up to 8 weeks, based on a half hour of reading per day with Wi-Fi turned off and brightness set to 10. 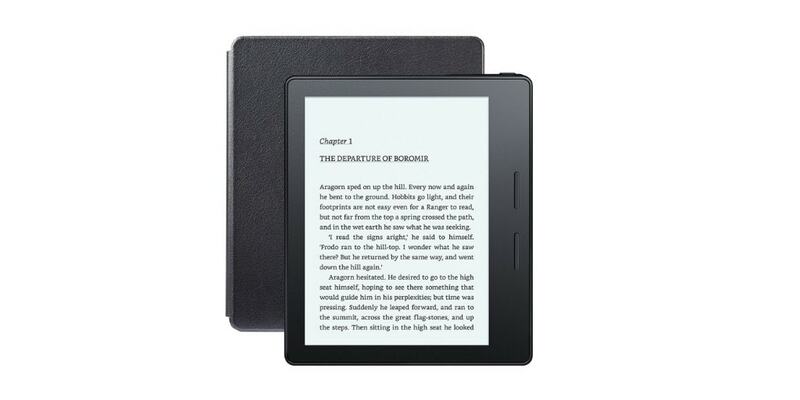 Under the same conditions, the Kindle Voyage and Paperwhite will last up to 6 weeks. Still great, because it takes only 2 hours to full charge these devices. All three Kindles we compared in this article can storage thousands of books, but only two of them come with two storage options: 8 GB and 32 GB (Paperwhite, Oasis). The Kindle Voyage has only 4 GB. Without a doubt, the new Oasis is the best eBook reader available in the market. If you have enough cash, this model is a perfect choice. The screen is larger, the battery can last longer, it has auto-adjust backlighting, and is waterproof (IPX8) up to 2 meters. When you take price into account than the Kindle Paperwhite is one of the best deals you can get. Yes, it has a little bit smaller display than Oasis (6-inch vs 7-inch), only a swipe/tap feature for page turning, but for a much better price, you get the same important features as the Kindle Oasis.